1 in 6 Canadian couples struggle with infertility, with a majority being unable afford the necessary medical treatment they need in order to help them conceive. All Albertans should have the opportunity to build a family, but it is simply not an option for those who cannot afford the heavy cost. In Vitro Fertilization (IVF) is one such medical procedure that may be recommended to couples struggling with infertility, and is a procedure where the sperm and egg are introduced in a laboratory setting, with the resulting embryo then being transferred into the uterus. In Alberta, IVF is entirely uncovered, so it is up to couples to cover the hefty expenses. It is unfair for couples to have to undergo the stress of having to foot expensive treatments, and unfair for couples who cannot afford treatments at all to be denied the opportunity to start a family altogether. Infertility challenges are difficult enough without having to add financial pressure to the mix. More and more provinces are understanding the benefits of public funding for IVF for many reasons, one of which being the economic reality that public funding effectively cuts costs to the healthcare system while leading to better health outcomes for baby and mom. It’s time for Alberta to step up and recognize the benefit of IVF funding, and re-evaluate provincial spending decisions to be supportive of those trying to start families. 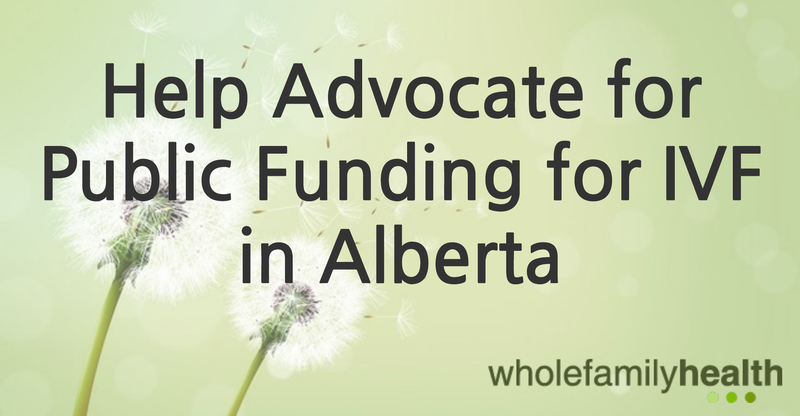 Let’s make IVF funding in Alberta a reality! 1. Talk about it! 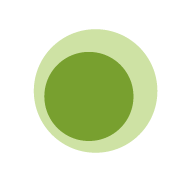 Show your understanding and support for those faced with fertility issues and help spread information via social media. If it’s being talked about online, there’s hope it will be talked about in parliament (we hope!). 2. Contact your MLA and let them know how important an issue this is – phone call, email, or in person meeting. Always be supportive of those facing fertility challenges- we are all in this together and public funding for IVF benefits everyone. Equal access to and funding for treatment for Albertans living with reproductive health issues is more necessary in Alberta now than ever, so let’s make IVF funding in Alberta a reality! If you are experiencing fertility issues, Whole Family Health offers natural alternatives to help increase your fertility naturally. Talk to us about how acupuncture, naturopathic medicine, and massage therapy can help – contact us today!